It’s no secret that college is getting more expensive every year. 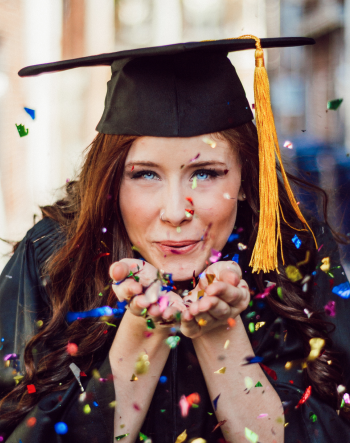 Fortunately, millions of dollars in scholarships are given away annually, and it’s certainly possible for your child to get a piece of the money pie. By following the 10 tips on finding and applying to scholarships below, you can help make steep tuition prices a bit more manageable. 1. Maintain high grades, and seek high scores on standardized tests. Many scholarships have GPA requirements and/or requirements for scores on tests such as the SAT and ACT. With that in mind, encourage your child to strive for the highest possible grades and test scores throughout high school. Your child can take the SAT and ACT multiple times, so it’s a good idea to take the test early on. That way, your child can continue trying for a higher score if it’s not enough to qualify for certain scholarships. As graduation draws near, some students have a tendency to let their grades slip a bit. Continue motivating your child to push for good grades in spite of “senioritis” so that he can qualify for as many scholarships as possible. 2. Start applying to scholarships early. Scholarship deadlines vary, with some applications due as early as the summer before senior year. To avoid missing out on potential scholarship money, be sure to start your search early. This gives you time to make a solid plan for which scholarships you’ll apply, when you need to apply, and how you’ll manage all of the deadlines (in addition to deadlines for college applications). 3. Keep a calendar of scholarship deadlines. Once you’ve generated a good list of scholarships, deadlines are crucial. A missed deadline means zero chance of winning that money, so finding a way to organize and remember deadlines is essential. Buy a calendar and write all scholarship deadlines in red ink (or another vibrant color). If a scholarship has multiple deadlines, go for the earliest one to make the best possible impression and increase your child’s chances of being selected. Hang the calendar somewhere you and your child will pass by often, such as the refrigerator or doorway, and have your child cross out scholarship deadlines as applications are sent off. This will also give your child a sense of accomplishment during this grueling application season. 4. Maintain a file with important paperwork and information. Speaking of organization, it’s also a good idea to keep a physical or computer file containing the information scholarships may require from your child. Many scholarships ask for similar information, so keeping track of and reusing these items can be an excellent time saver. Organizing a file also means reduced stress, since you won’t have to constantly scramble for necessary information. 5. Ask your high school guidance counselor for ideas. Of course, finding the scholarships to apply for is often the most difficult part of the process. Your child’s high school guidance counselor can be an excellent resource. Guidance counselors are often aware of a wide variety of scholarships and can possibly help you identify ones that would be a good fit for your child. Near the end of your child’s junior year, you can call, email, or meet with her guidance counselor to ask about scholarships that your child should consider. 6. Check with your child’s prospective colleges/universities. Although some schools automatically consider all applicants for the scholarships they offer, this is not always the case. Applying to scholarships is sometimes a completely separate process from applying for admissions, and sometimes these applications have different deadlines. To be sure, you should check the websites of each college your child is applying to, or you can contact the schools’ financial aid offices to inquire about scholarship opportunities. You may be surprised by the amount of locally available scholarships. Check with the church you attend (if applicable), any organizations you and your child are involved with, local chapters of clubs such as the Kiwanis Club, large corporations, foundations, and even your bank or credit union. One advantage to having your child apply to as many local scholarships as possible is that there is less competition, and therefore increased likelihood of earning some money. Another place to look is the Internet. Sounds obvious, but try to make your searches as specific as possible. You can search for scholarships tied to your child’s religious affiliation, race, prospective career, area(s) of interest, extracurricular activities, or any other of your child’s attributes. Scholarships are available for non-academic qualities, such as leadership and community service. There are even scholarships for students who are left-handed or short in stature! Search for anything you can think of that applies to your child. You may be surprised by what you find! There’s no limit to the amount of scholarship money your child can earn, so apply to as many as possible. Again, your child may be able to re-use letters of recommendation, personal statements, and more, so applying to a large number of scholarships won’t necessarily be too time-consuming or overwhelming. To earn a significant amount of scholarship money, it’s usually necessary to apply for a significant number of scholarships. If your child has a chance of earning a scholarship, even if there seems to be only a slight chance, it’s still worth a try. Even if your first few scholarship applications get rejected, encourage your child to keep her spirits up as well. Eventually, you’ll find a scholarship that’s the perfect fit for your child’s abilities, and the scholarship money should start rolling in. Remember that there are scholarships for almost any quality imaginable, so continue searching and applying. Finding and applying to scholarships isn’t necessarily easy, but organization, persistence, and a positive attitude go a long way.